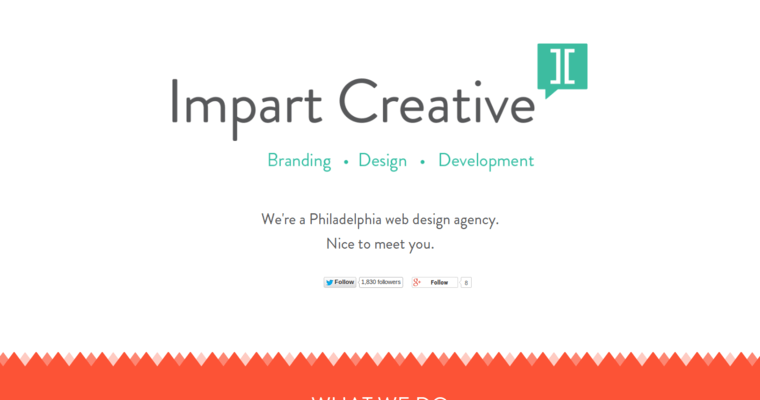 Impart Creative is a web design firm that's located in Philadelphia, Pennsylvania. This web design firm starts working with clients by taking a closer look at their companies and industries. Impart Creative works to understand the goals of your company as well as its target audience. In addition, this web design firm takes a close look at your competitors. 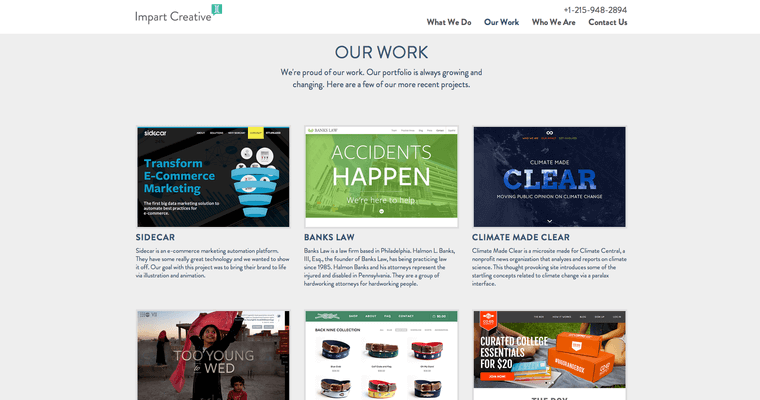 In turn, this allows Impart Creative to create a framework that's the basis of how they create professionally-designed websites. 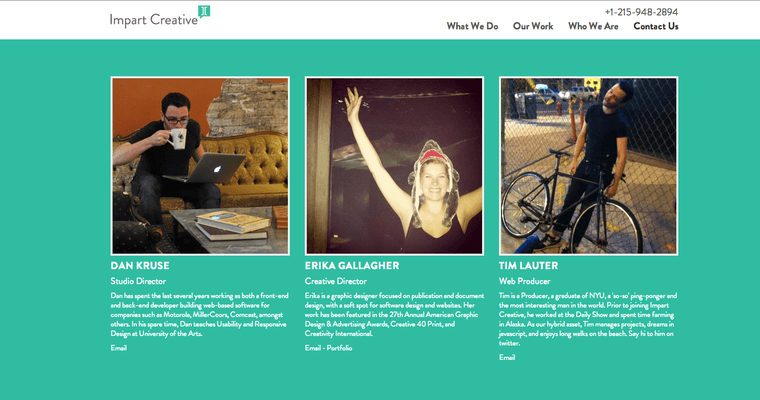 This design firm gives each client freedom by creating website mockups that utilize different fonts and color schemes. Impart Creative also provides revisions for clients which helps to ensure each customer remains satisfied.